We will provide a summary of four of the most popular fuel cell types: solid oxide, molten carbonate, proton-exchange membrane, and direct methanol fuel cells (DMFCs), with a focus on materials, mechanism of operation, and an evaluation of advantages and disadvantages. William R. Grove, the fuel cell pioneer could only harvest a very small current from his apparatus that was not enough to provide power for everyday use. 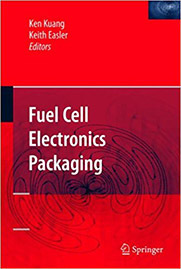 Only in the last few decades there have been major breakthrough improvements in the design and materials of fuel cells that the technology is now approaching commercialization, attracting increasing attention from the world of business rather than just academia. These improvements are reviewed here to demonstrate the cutting edge of today's research.